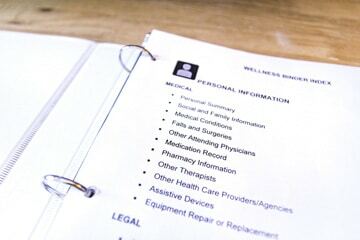 Have you ever thought you should write down your medical history for use in an emergency but didn’t know where to begin? Do you have different filing systems but nothing is organized? 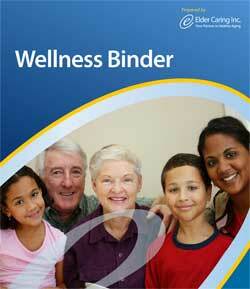 If you were hospitalized, would your family know where your important papers are kept or what your wishes are? Elder Caring Inc. has created this binder for you to document, maintain and update your personal information. You will happily find that having all of your important personal information and contacts in one place will be ideal for recording not only phone numbers, faxes and addresses, but also other types of contact data, such as emergency numbers, medical background, financial information, insurance policy types and numbers, email addresses and computer passwords. As you begin filling in your personal information you may discover that the help from a trusted loved one may be extremely helpful. 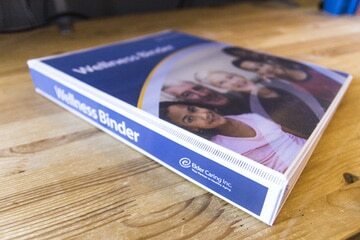 In this regard, this Wellness Binder can be used as a discussion guide with family and friends, especially the person who will speak for you when you cannot speak for yourself such as your Power of Attorney or Substitute Decision Maker. It could also include writing down your wishes, and may even involve using this information when talking with healthcare providers and financial and legal professionals. 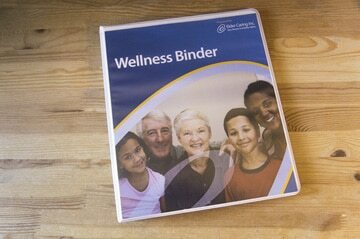 The binder will help you to be prepared and organized for whatever health issue is around the corner. 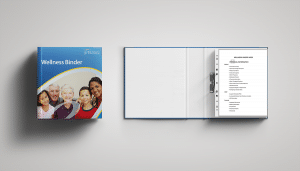 “An amazing tool for families, information available in one booklet so you don’t have to go searching. Price: C$45.00, taxes included plus $15.00 shipping within Canada only.